- Times New Omen Page of Holes by Celia Perrin Sidarous (/edition, Toronto). This will also introduce our Montreal audience to Momus's first print book, Momus: A Return to Art Criticism, Vol.1 (2014-17). 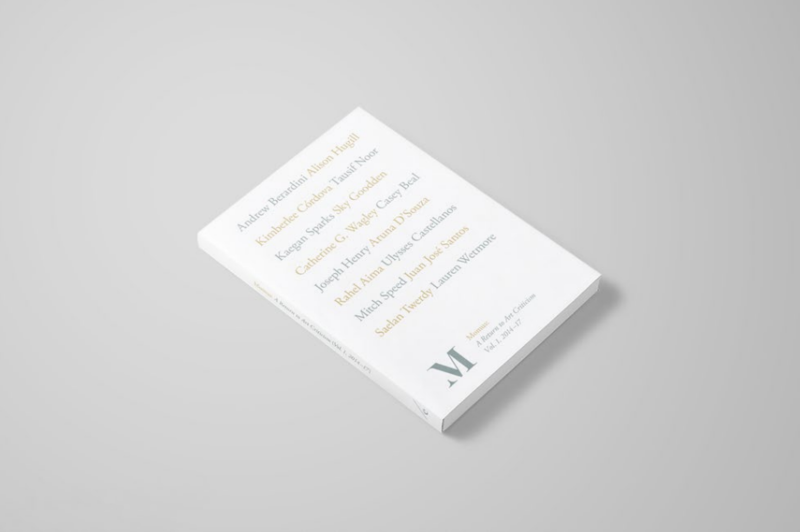 The celebrated online art criticism publication, now offering a printed compendium of its best writing to date, will be available for signing and purchase. Its publisher, Sky Goodden (a 2017 resident at the Darling Foundry), will also present a short speech and reading. A public discussion will be held on this occasion, bringing together Yannick Desranleau and Celia Perrin Sidarous, along with the curators and authors Joni Low (Or Gallery), Anne-Marie St-Jean Aubre (Musée d'art de Joliette), and Sky Goodden (Momus). The conversation will be in English, led by Ji-Yoon Han, curator at the Darling Foundry. The three publications will be available for sale. A discount will be offered to current members of the Darling Foundry.